If you like this free game, try Dragon Keeper 2. The kingdom is cursed! An evil witch interrupted your wedding and turned your beloved princess into stone! The castle became a prison for all the guests at the wedding and you have been banished from the kingdom, forever! Travel deep into the mountains and find help in Dragon Keeper, a fun and exciting Time Management game! Download free full version game and save your beloved Princess! 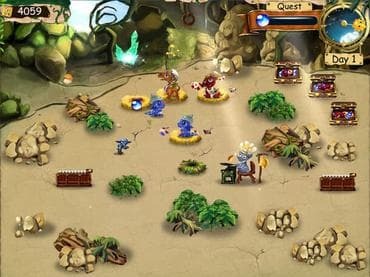 Free Game features: - Breed, feed and take care of your dragons; - Hire variety of monsters to help you within a cave; - Cast funny dragon spells; - Forge, upgrade and sell magic jewels. If you have questions about Dragon Keeper game, please contact us using this form.